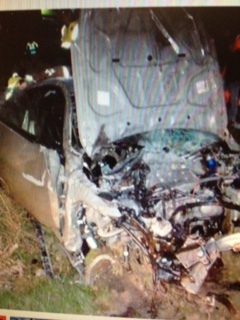 Tuesday Night in Laurel County, Kentucky a single vehicle accident occurred and seriously injured two young men. The accident occurred along Wyan Road, west of London, Kentucky. The vehicle was a Nissan 300Z, driven by Cameron Harville, age 23. The car reportedly went off the road, traveling nearly 40 feet and crashed head-on with a tree. Both the driver and the passenger, Michael Cornett, age 23, were airlifted to UK hospital to be treated for their injuries. While it is unclear what caused this auto accident, under Kentucky law, drivers of motor vehicles owe a duty to others, including their passengers, to remain in control of their vehicles and to avoid causing injury to others, including passengers in the vehicles. As such, the passenger, Mr. Cornett, has a Kentucky personal injury claim (click here for a link to information related to legal damages that are recoverable and compensable under Kentucky law) against the driver of this vehicle and the insurance company which insured it. He can seek legal damages to cover his medical bills, lost wages, and pain & suffering from this accident. A two vehicle Kentucky auto accident occurred Sunday evening around 6:30 p.m. in Graves County, Kentucky, at an intersection between Wingo, Kentucky and Sedakia, Kentucky. Based upon the reports available, the accident occurred due to driving negligence of 21 year old Ashley Nadvornik, who was driving on Ky 1748 and failed to stop at the stop sign at the intersection with Ky 339. In doing so, Ms. Nadvornik pulled out in front of and in the pathway of a vehicle driven by 72 year old Marvin Myatt, who was traveling eastbound on Ky 339. As a result of this accident, Mr. Myatt and his passenger Kathy Myatt both received injuries. Ms. Nadvornik and her two passengers all were transported to Jackson Purchase Medical Center for treatment for their injuries. As such, due to the negligent driving of Ms. Nadvornik, the Myatt’s and the passengers in Ms. Nadvornik’s vehicle will all have Kentucky Personal Injury Claims against Ms. Nadvornik and her auto insurance carrier. Passengers of vehicles, even passengers in the vehicle of the at-fault driver, are entitled to civil injury protection under Kentucky law. A two vehicle Kentucky motor vehicle accident Thursday night has injured two adults and caused the death of a 5 year old. The car crash happened around 7:00 p.m. in Mayfield on North Sutton Lane. This accident was a head-on collision. Corinne Nichy, age 24, was the driver of one of the vehicles. The other vehicle was driven by April Faulkner, age 34. Jalyn Clark, age 5, was a passenger in Ms. Faulkner’s vehicle. All parties were taken to Jackson Purchase Medical Center. The 5 year old was then transferred to Vanderbilt University Medical Center. Tragically, Jalyn Clark died from the injuries sustained in the crash. Information about protecting the legal rights of accident victims and the legal rights of families who have lost a loved one in a Kentucky motor vehicle accident can be sought from the Ackerson Law Offices (click here to go to Attorney Ackerson’s website, www.kyfirm.com). 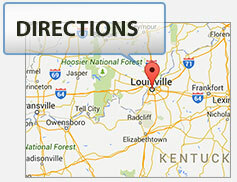 Information about Kentucky Personal Injury Claims and Kentucky Wrongful Death Claims can be found from that website. Police reports suspect that alcohol may nave been a factor in this tragic crash. Information on the legal rights of persons injured from alcohol related auto accident can be found at the Ackerson Law Offices’ website (www.kyfirm.com). This tragic Kentucky Pedestrian Accident happened Wednesday night around 8:30 p.m. on Ky 80, near Elkhorn City, in Pike County, Kentucky. Samantha Bennett, age 21, was walking along Ky 80 when she was struck by an SUV driven along the roadway. Ms. Bennett died from the injuries she sustained in the accident. Under Kentucky law, motorists owe a duty to be mindful of their surroundings and avoid collisions with others, including pedestrians along the roadways. As such, until all the facts are discovered about this accident and the cause of such, it must be presumed that the driver of the vehicle was negligent in some manner and at-fault to some degree in relation to this tragic fatal accident. The family of Samantha Bennett, based upon the facts and legalities of this accident may have a Kentucky Wrongful Death case against the driver of the SUV who hit her. As with most pedestrian accidents, the drivers of the vehicles involved, their legal defense teams, and insurance companies, attempt to seek out reasons to put fault upon the pedestrian. As such these types of legal claims become complicated by legal factual discovery and arguments of who did what, who should have done what, and what extraordinary facts contributed to the cause of the accident. These legal arguments and battles are due to Kentucky negligence law being a comparative fault analysis. Around 3:00 a.m. Saturday two vehicles in warren County, Kentucky collided at the intersection of Porter Pike Road and Petty Road. One vehicle driven by, Linda Cowles, was traveling on Porter Pike Road when another vehicle driven by Jonathan Elmore attempted to cross Porter Pike Road, traveling on Petty Road. This resulted in the collision. The accident resulted in serious injury to Ms. Cowles and the death of Mr. Elmore and his passenger Craig Armstrong. As such the factors that lead to this accident will determine who is at-fault for the crash that has created a potential Kentucky Personal Injury Claim and two potential Kentucky Wrongful Death Claims. Information about Kentucky Personal Injury Claims, Kentucky Wrongful Death Claims, and the civil legal damages that can stem from these types of accidents can be found at the Ackerson Law Offices’ website at www.kyfirm.com. Monday morning a Rowan County, Kentucky high school student was dropped off at school by her parents. Upon exiting the vehicle, the student properly used the crosswalk to cross the road when an elderly driver hit the student. The 15 year old was thrown over the vehicle and landed approximately 25 feet from the point of impact. She suffered a head injury and was taken to the hospital for treatment. This is a clear case of negligence on the driver of the vehicle that struck the young girl. Her parents, on her behalf, will have a Kentucky pedestrian accident legal claim against the driver of the vehicle that hit their daughter. Under such a claim they have a legal right to damages which include medical bill reimbursement, both past and future bills related to the accident, and the girl will be entitled to monetary compensation for pain & suffering related to this accident. Information about pedestrian and crosswalk accidents can be found at the Ackerson Law Offices’ website. (www.kyfirm.com). This auto accident happened Thursday in Pike County, Kentucky on U.S. 460. The driver of a vehicle traveling westbound on U.S. 460 crossed the center line of traffic to avoid a stopped vehicle in that lane of traffic. In doing so that vehicle struck a vehicle traveling eastbound, driven by Debra Fouts of Virgie, Kentucky. The accident caused serious injury to Ms. Fouts and two passengers in her vehicle. One of the passengers, Kyla Fouts, was airlifted to the hospital due to the severity of her injuries. Tragically, Kyla Fouts, died Friday morning at Johnson City Medical Center due to the injuries from the crash. This Kentucky auto accident has legally given rise to both Kentucky Personal Injury Claims and a Kentucky Wrongful Death Claim. The two survivors from the Fouts vehicle will have civil legal claims for damages from the accident, and the Fouts family will be able to legally bring a Wrongful Death claim related to the loss of Kyla’s life. The driver who crossed the center line was also injured, and depending upon the circumstance may have legal claims against the stopped vehicle in the roadway. The Fouts family’s legal claims will be primarily against the driver who crossed the center line. Based upon the severity of the injuries and the death involved in this accident, adequate insurance coverage will be a legal issue to contend with. As such, in severe accidents, knowledge of insurance laws and coverage available is important, including the possibility of utilizing under insured and/or uninsured motorist coverage. A Kentucky Drunk Driving Accident injures innocent driver. George Ryan, age 64, has been criminally charged with DUI 1st Offense, Assault 2nd Degree, Criminal Mischief 1st Degree, & Failure to maintain auto insurance, after he drove intoxicated in the wrong direction of traffic on US Highway 60/Tennessee River Bridge. Mr. Ryan’s vehicle crashed head-on into a vehicle driven by 28 year old Jackee Duncan, of Ledbetter, Kentucky, who was taken to the hospital for injuries. A major legal concern from this accident is the civil liability owed by Mr. Ryan to his innocent victim. Because Mr. Ryan failed to maintain his automobile insurance, the civil legal damages sustained by Jackee Duncan may go without compensation. In cases where the at-fault party has no insurance, it’s important that the victim carry uninsured motorist coverage on the vehicle they are in. Uninsured motorist coverage insures drivers against legal damages caused by drivers who do not have insurance. In cases that involve drinking and driving, another potential source for civil legal recovery and compensation for innocent victims is possibly from the bar or restaurant that last served the alcohol to the drunk driver that caused the accident. Under Kentucky law this type of legal action against bar/restaurant owners who over serve alcohol to drivers is known as a 3rd party Kentucky Dram Shop Action, and involves claims of negligent alcohol service to at-fault drivers. The difficult part in cases of over service is acquiring the knowledge of where the at-fault driver last was served alcohol. As such, immediate legal action against the driver may be the only means of forcing information about where the person had been drinking prior to the accident. Information about the legal rights of persons hurt or killed by DUI accidents in Kentucky can be found at the Ackerson Law Offices. (www.kyfirm.com). A tragic and fatal accident occurred in Anderson County, Kentucky, as four teenagers were traveling home to Christian County, Kentucky, after watching a high school basketball game. The four high school students were traveling in a 2010 Nissan pickup truck which collided with the back end of a semi tractor trailer that had parked in an emergency lane. Two of the teenagers were seriously injured. One teenage, Dequavius Weaver, age 16, died at the scene of the crash, and another teenager, 17 year old Jacob Blankenship, was transported to UK Hospital where he died there from the injuries sustained in the accident. Josh Harbold, age 16, and Dendrick Holmes, are hospitalized due to their injuries. In a case such as this, where two are killed and 2 others seriously injured, the primary concern from a legal perspective is will there be enough insurance coverage to afford justice to those injured and the families of the killed. It becomes complicated and ever insurance policy, including many that most would not consider as possibly affording coverage must be examined to insure that the victims get the fullest amount of justice afforded under the law.